Popular Palettes for the New Year: 2019 is here and so is a brand new color forecast for the new year! 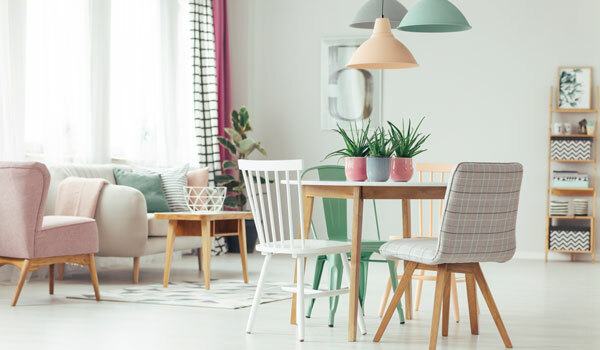 Along with PANTONE®'s Color of the Year and various paint companies' top picks, we've compiled a list of stylish colors for you to add to your home that will be trending throughout 2019. 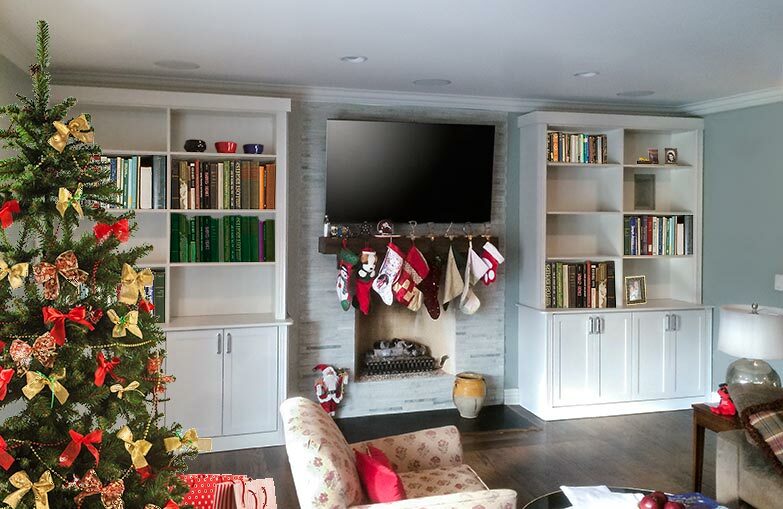 Adding Built-In Fireplace Bookshelves as Custom Storage: Fireplace bookshelves are currently in high demand amongst home buyers. Adding built-in fireplace bookshelves to surround your hearth will increase the storage and usability of your home. They provide a personalized look that can set your house apart from your neighbors. It is no wonder that they have become so popular in recent years. What Are Soft Close Drawers? The Advantages of Soft Close Slides on Closet Drawers: Undermount drawers with soft close technology have become a hallmark of high quality closet systems. But what is it exactly? Soft close with hydraulic dampener ensures that your drawer closes quietly and smoothly each and every time, even when slammed shut. 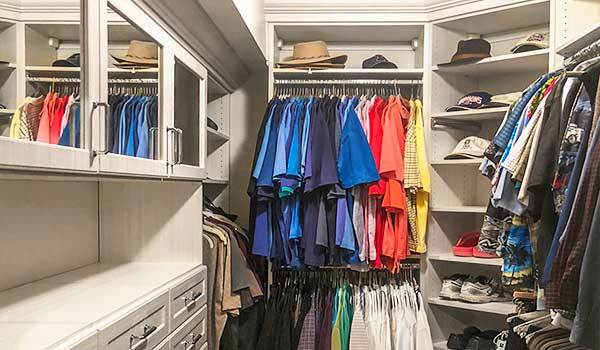 Accurate Measurements Are Critical When Building a Closet System: Everyone benefits from better organization, but sometimes getting there is easier said than done. A new closet system is a good way to get better organized, but remember, every successful closet design starts by taking accurate measurements of the space. How to Build a Custom Closet: The back bone of all successful custom closet design is based off of these four essential building blocks: double-hang, long-hang, shelving, and half & half closet sections. How to Downsize Your Home & Tips for Maximizing Closet Space From Someone Who Has Made the Downsize Home Transition: For the past 30 years my wife and I have been living in Chicagoland in a large home. This home provided a great foundation to raise our children, but they are now all grown up and moved out. It was clearly time for us Baby Boomers to Downsize. Everything is Easier When You're Organized: You may already have, in your mind, an idea of what the perfect holiday season looks like. 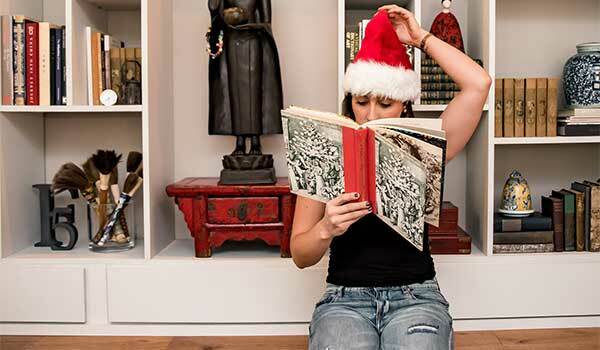 Of course, the reality of the holidays is often chaotic, crazy and complicated…but it doesn't have to be. The Most Effective Closet Corner Organizers & Solutions: The closet corner can be one of the most difficult areas to organize in a manner that is easy to access with no wasted space. 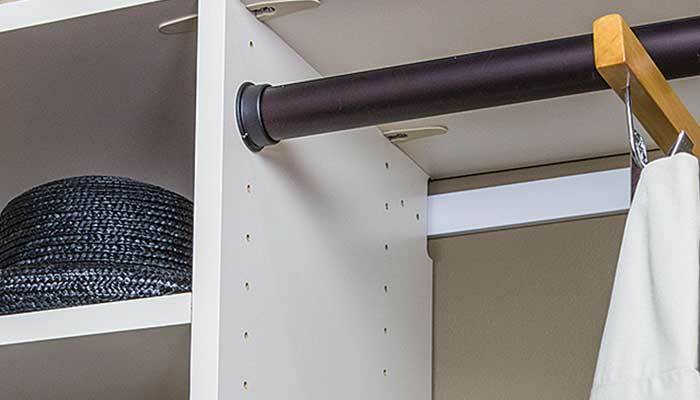 Although closet corners are notorious for being difficult spaces to work with, the right closet corner organizer can the eliminate your dead spaces and maximize storage in that difficult area. 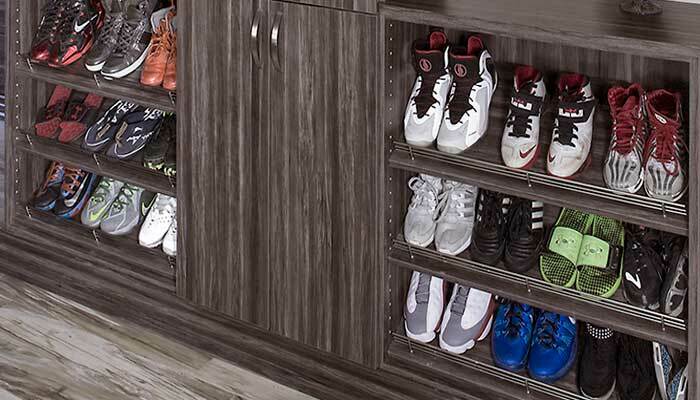 The Most Efficient Shoe Organization and Shoe Storage Strategies For Families: When you have a multitude of shoes to deal with, the best organization solution is usually some sort of shoe tower to provide optimal shoe organization and shoe storage. At it's core, the shoe tower is simply two parallel vertical panels with a series of perpendicular shelves placed between them. It seems simple, but there are several things to consider before beginning to construct your shoe tower. Closet Accessories Organizers Add Convienience To Your Closet System: There are so many different closet accessories on the market, how do you know which ones will offer the most benefit? 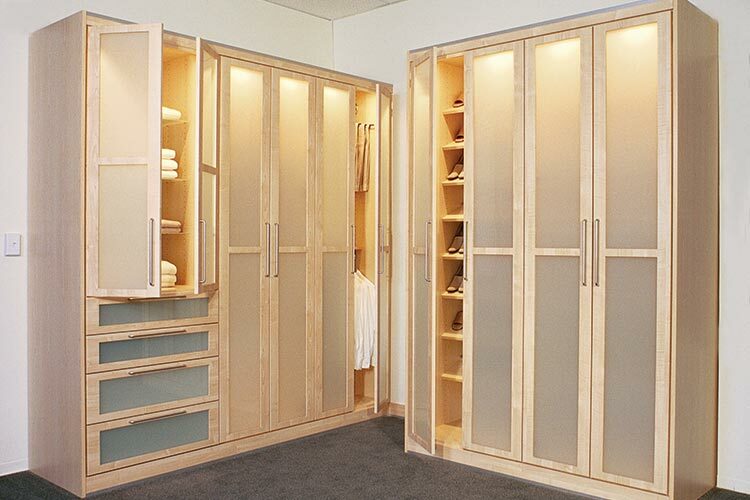 Closet Works has been designing custom closets that feature these closet system accessories for over 30 years. Time and time again, there are certain types of products that rise to the top in popularity and customer satisfaction. 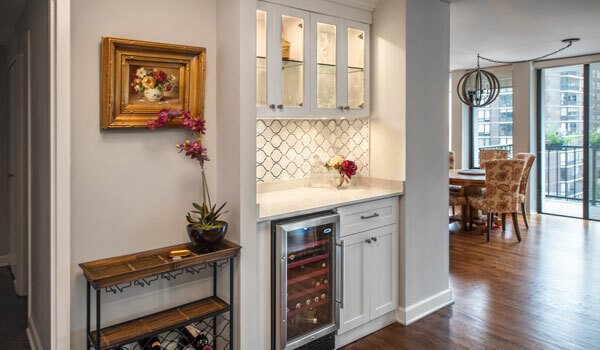 A Built-In Beverage and Wine Center Prepares Your Home For Easy Entertaining: There are many types of home bar solutions on the market in the form of ready-made furniture and cabinets. These may work well in certain situations, but none can equal the seamless integration into your floor plan, or the storage potential of a custom built-in beverage and wine center for your home. 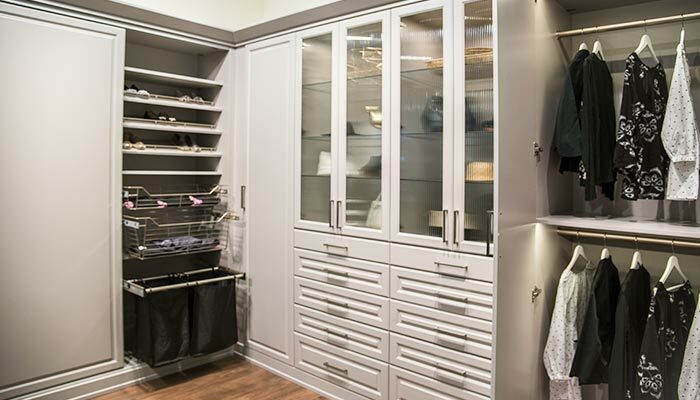 The Best Closet Designs Strike a Balance Between the Latest Closet Trends & Lasting Value: Today's saavy homeowners are willing to take the plunge into custom closet systems, but demand value for their money. Adjustability in the design ensures that your closet organization system will be a lasting investment that can adapt to changing needs and times. Learn the three secrets of professional closet design: When you don't know what to do, it's always best to ask an expert. 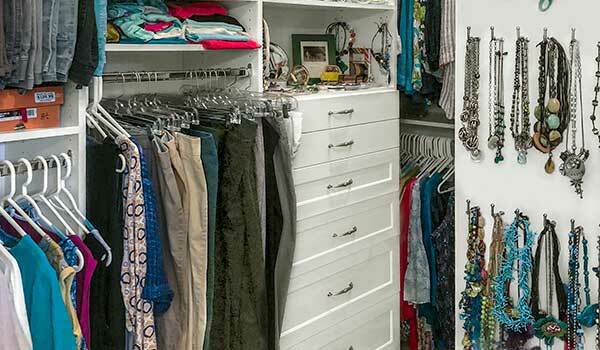 Guest blogger and veteran designer Sue Tinker offers closet organization tips and details the process she went through when building her own dream closet! 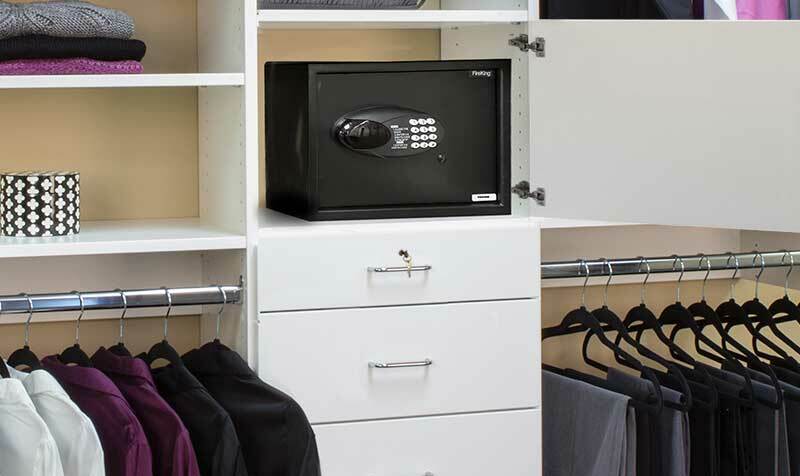 How to adapt your custom closet system as a place to secure valuables using a closet safe and drawer locks: Keeping your cash, jewelry and other valuables safe is an important requirement of any home security strategy. Your custom closet system can play an important role in satisfying your home security needs through the addition of a hidden closet safe and various types of drawer locks. Closet Island vs. Closet Hutch vs. Closet Peninsula: Which is Right for You? The Various Storage Advantages of the Closet Island, Closet Hutch and Closet Peninsula: The closet island has become a "must have" storage solution for large, walk-in closets. The closet hutch and closet peninsula are two additional types of closet built-ins that perform in a similar fashion to the closet island, but require less space. 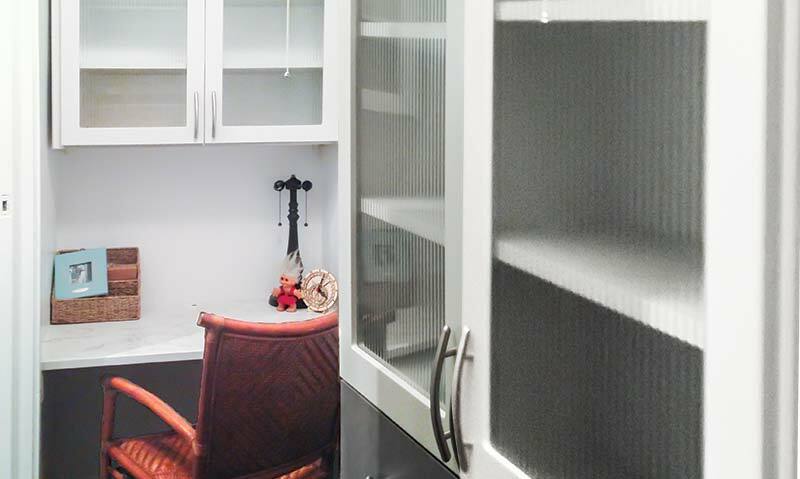 How to Turn a Closet Into Desk Space or a Beverage Bar for Entertaining Using Custom Built Ins: The reach in closet is one of the most versatile assets of the home. 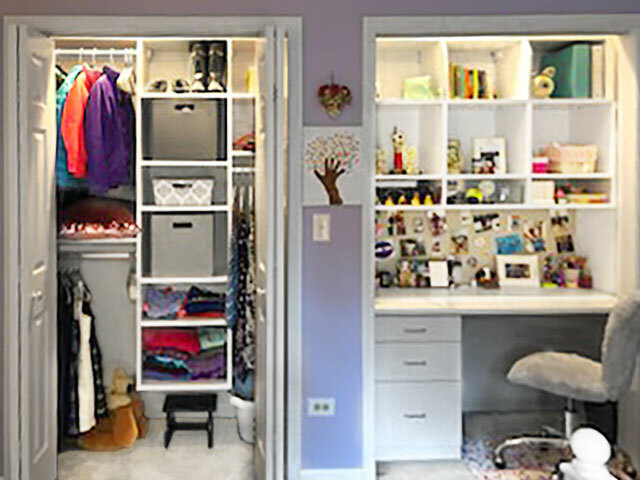 Remodeling it with a custom closet organization system can provide a lot more storage per closet. With all the extra space you'll have, you may want to convert some closets to other purposes through use of custom built ins. How to Make Your Tiny Home Seem Larger: Maximizing your available space is especially important if you live in a small studio apartment or even a tiny house. Luckily, there are a number of highly efficient storage ideas that can make your space feel larger than it is — some solutions even seem to add an extra room without altering the footprint of the space. Creating Practical Entryway Storage to Keep the Home Organized and Clean: Mudrooms are a coveted feature in Chicago areas homes, but not everyone is lucky enough to have one. It is possible, however, to create practical entryway storage through the addition of custom built-ins that keep the home organized and clean without having to do any major home additions or renovations. Bike Racks for Garage, Bike Wall Racks, Bike Stands, and the Overhead Bicycle Storage Hoist: Whether you are a serious cyclist with a high end assortment of bicycles for different types of terrain, or just a family with a bicycle for every child, bikes can take up a lot of room in the garage or home. 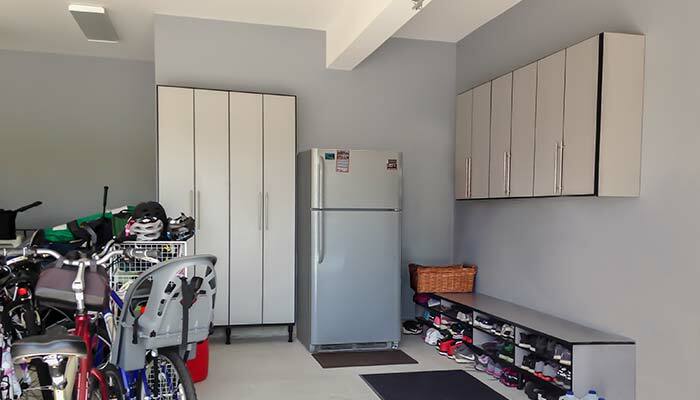 Adding some type of indoor storage system will help you get organized and reclaim some of the space taken up by the bicyles. Hide the Litter Box & Other Pet Closet Ideas: Although their closet needs are slightly different than those of their owner's; dogs, cats and other pets have storage needs too. 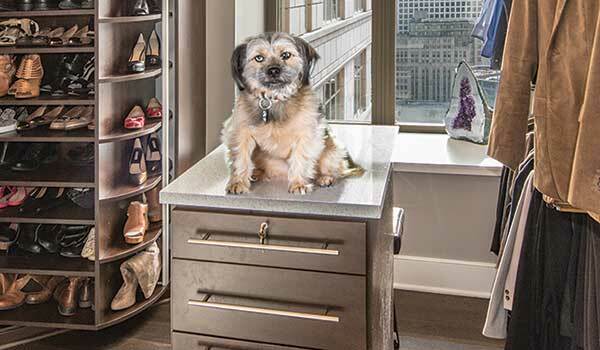 The good news for Chicago area pet owners is that all of these needs can be addressed through the installation of a proper pet closet. Traditional Style Ideas and Inspiration: Traditional style is a popular interior design trend that never fails to impress because of its rich, historical inspiration and elegant appeal. Closet Works has put together a collection of photos and laid everything out for you to begin creating your very own traditional style design. People Love Us On Yelp! 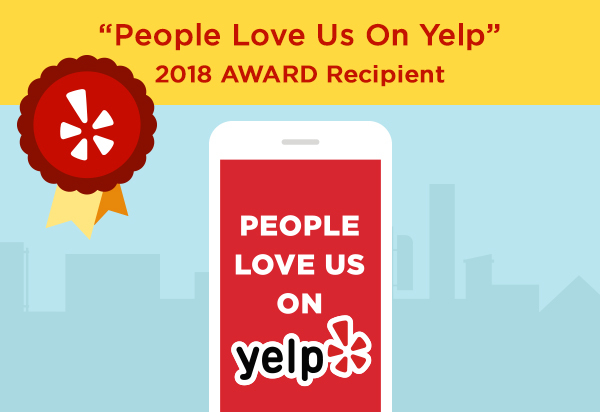 Closet Works is proud to announce we have been chosen as recipients of the 2018 People Love Us on Yelp Award. This badge represents the value we place on customer satisfaction and Closet Works could not be happier to keep the positive feedback coming. Read more to find out what people are saying! What Are Cabinet Legs/Leg Levelers & How Are They Used? 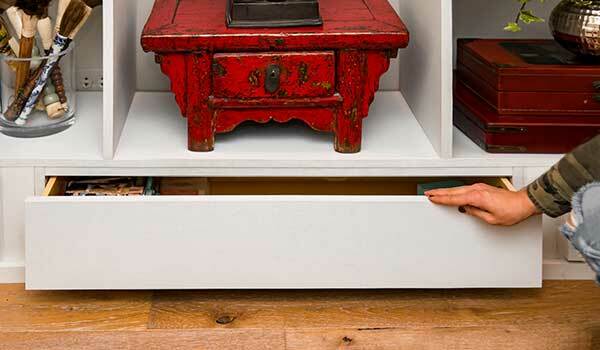 Cabinet legs, also called leg levelers, are used to raise cabinets and closet systems 4 — 7-1/2 inches off of the floor. They provide up to a 1 inch range of adjustability per side, and are great in instances when floors are not level or there is a possibility of moisture problems with the floor. Benefits of Closet Dressing Rooms: Although it may seem like a dream come true to some, dressing suites are becoming more common in our homes and with good reason. Although many would consider it a true indulgence for those occupying the master suite, the practical benefits are hard to dismiss. There are four key benefits that you can enjoy with your dressing suite: more time, personal space, less furniture, and more sleep. Closet Solutions and Storage Ideas for People Who Have Absolutely No More Room in Their Closets: When closet space is tight, think outside the box for storage — think outside the closet. An outside closet can occupy the same space often allocated to traditional furniture such as freestanding wardrobe closets and armoires. The advantage of the outside closet over regular furniture is that it is custom designed to fit the available space. Any unoccupied corner or section of wall can accommodate the outside closet. It can be made to any height, depth or width required. If desired, it can be made to resemble a piece of furniture, a Craftman Style built in, or designed to match other cabinets in the home for a cohesive look. Craftsman Style Built In Storage Ideas for Today: Built ins have recently made a comeback! The new 21st century built ins are custom handcrafted pieces — just as they were back in the early 1900s/American Craftsman era — but are available in more styles ranging from from traditional to transitional, and even modern or contemporary. Newer materials and manufacturing techniques have brought prices into a friendly range, and middle class homeowners are once again looking to reap the benefits of custom built in storage. 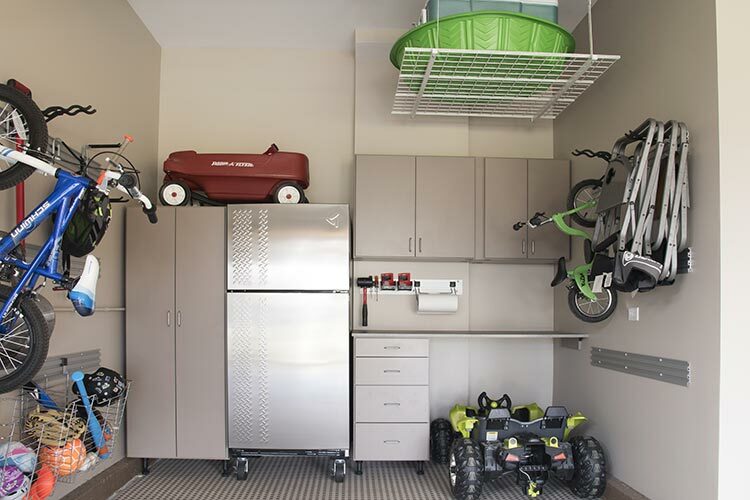 Garage Organizing Systems & Garage Organization Ideas: A well designed garage organization system where everything has its assigned space can increase storage capacity, keeping things neater, cleaner, easier to find, and could even help prolong the life of your vehicle. You can work on organizing your garage at any time, however, most Chicagoans prefer to work on this task during our warmer weather. It's more comfortable to work in an unheated space when the weather is nice, and you'll gain a lot of light by keeping the overhead doors up while you're working. End of spring/early summer (i.e. now) is the perfect time to get started on your garage organization project. 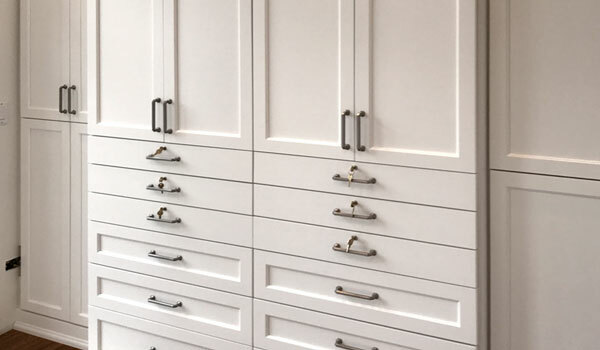 Handles, Knobs & Pulls Used in Closet Design: The door and drawer hardware you choose is one of the most prominent visual features of your closet or storage system, setting the style and tone of the piece. 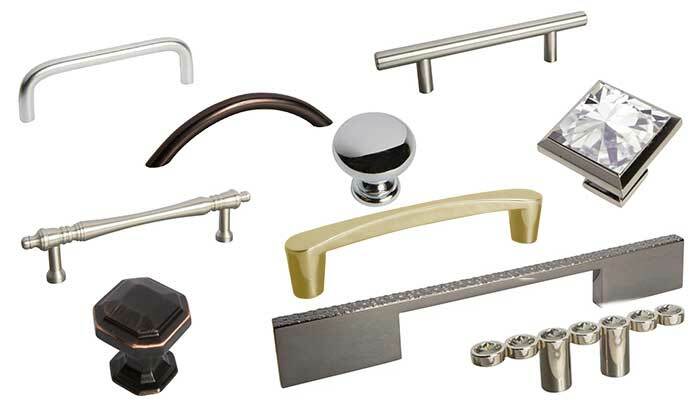 When choosing your knobs and handles it is easy to become overwhelmed by all the choices. Follow a few simple rules, however, and you will be happy with your selections for many years to come. One of the first things to grasp is the difference between handles, pulls and knobs. Closet Design Tips for Slanted and Angled Ceilings: Some closet spaces are more challenging than others. Rooms with sloped, slanted and angled ceilings or walls fall into this category. The main problem with angled ceilings is that no two are the same. Stock solutions simply won't work. 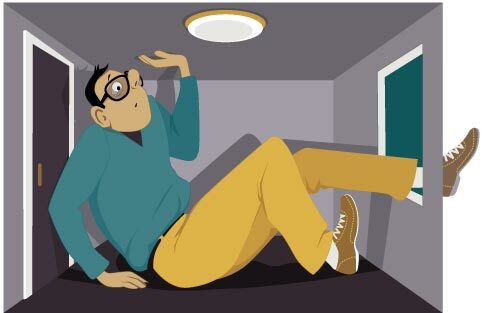 Although it's never a one-size-fits-all situation, there are a few rules of thumb when working with a slanted ceiling closet. Understanding the Difference Between a Storage Drawer and Pull-Out Shelves With Sides For Pantry Organization: Not everything comes in a neat and tidy box. 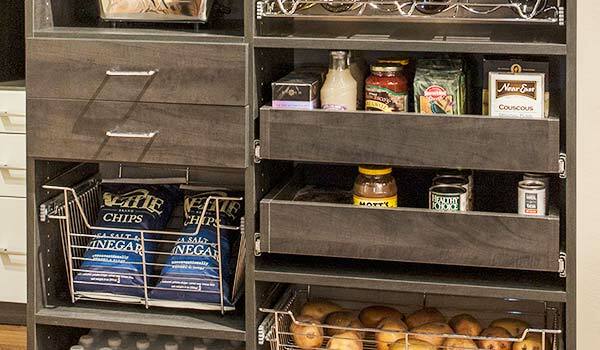 Pantries, and any type of closet for that matter, frequently need to store small or awkwardly shaped items. Bottles, cans, bags and small gadgets can become jumbled on shelves and are often left forgotten in the back of the closet until they expire. The better way to organize small items is by using a drawer or pantry pull-out instead of a shelf for storage. Dressing Room/Closet Ideas to Consider When Designing your Own Luxury Master Closets: Luxury master closets have gone main stream. Everything from coffee or wine bars, elaborate vanity tables/make-up centers, large screen TVs, sofas or other comfortable seating, elaborate lighting designs and other extravagances end up in many of today's more opulent closets. These dressing room/closets are highly personalized and can be quite large, with different sections and personal wardrobe accessories used to create striking displays within the closet worthy of the most upscale department store. 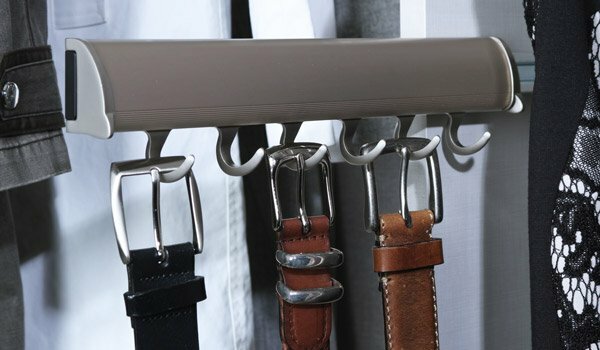 Belt Hooks and Other Belt Organization Ideas for Your Closet: Belts are a clothing essential. Going beyond the mere functionality of holding up your pants, many people accessorize with them in a similar manner to jewelry. This can lead to vast collections of belts in all sorts of colors and styles. Whether you are someone with a lot of belts or just a few, some sort of neat and accessible belt organization system is a good idea. 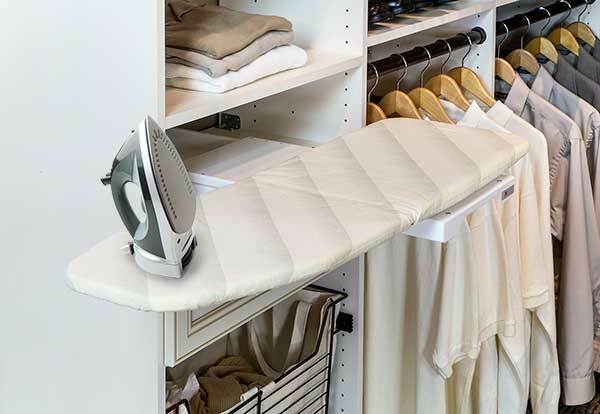 Hidden Ironing Board Options for Your Closet or Custom Cabinets: When it comes to closets and custom storage solutions, it's often the little details that make the difference between an outstanding closet and cabinet or one that's merely serviceable. By details, I mean the little niceties that aren't absolutely necessary for function, but can definitely make life easier. Examples include closet accessories like pull-out storage bins, valet poles, tilt out hampers, special storage racks for belts and ties, mirrors, and sometimes, built-in ironing board solutions. Transitional Style Ideas and Inspiration: Looking for some great examples to get you kick-started on your next custom design? Closet Works has arranged a collection of photos and given you insight and know-how behind creating a transitional look for your space. Transitional design fuses the worlds of modern and traditional design together and Closet Works is no stranger to creating in this particular style that's all about balance. Easily Transform Your Space Into a Home Office By Day, Personal Living Area at Night: Use simple hidden desks to make your space do double duty so that you can easily work from home, transforming your living area into a home office and back again on demand. 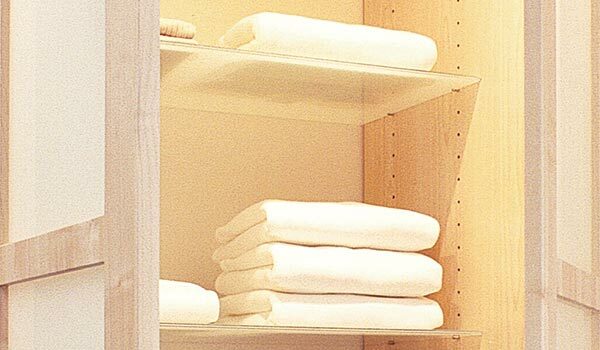 Linen Closet Design Tips and Linen Closet Ideas for Optimal Storage and Organization: Whether your closet is in a hallway or in a bathroom, maintaining an organized linen closet is a challenge for most homeowners. These closets often need to hold more than just linens. Linen closets, however, are like any other closet. If you start with a good linen closet design, it will be easier to maintain the contents in a neat and organized manner. Selecting the Perfect Custom Cabinet Doors and Drawer Fronts For Your Home Organization System and Cabinetry: Many custom closets, pantries, wall units and entertainment centers include cabinets and drawers as part of the storage solution. Selecting the perfect cabinet door and drawer front is key to lasting happiness with your new organization system. They make a big style statement and can set the entire tone of the piece. Necktie Storage Ideas Using Hanging Tie Racks or Rolled Tie Organizers: There are two schools of thought on the appropriate way to store ties. 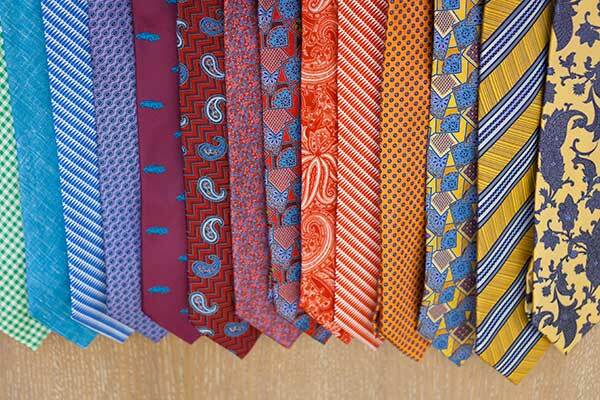 The best method depends on how many ties you need to store and the type of space you have available. Ties can be either hung on some type of rack in the closet or rolled loosely and stored in a drawer. 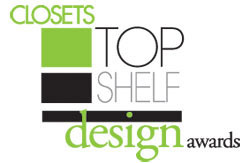 Closet Works in the 2018 Top Shelf Awards: Closet Works walked away on top with not one, but three Honorable Mentions in the 2018 Top Shelf Awards — a design contest for the top designers in the closet design industry to be recognized. Read more to see all 14 outstanding submissions and the honorable winning designs. 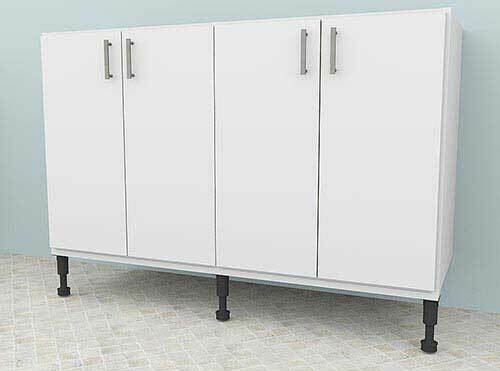 Different Types of Shelves for Closets, Pantries or Other Organization Systems: There are five main types of shelves used in custom shelving systems including fixed, adjustable, corner, floating, and pull-out shelves. 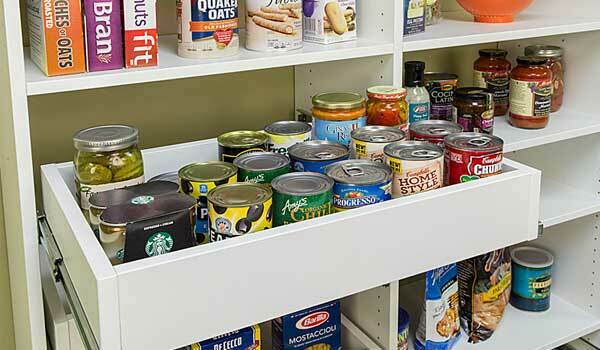 Each of these main types includes several style choices to be made: Standard shelf pin, pin-in-place, corner shelves with either straight, curved or angled cuts, rotating shelves, pull-out shelves with or without shallow sides to hold contents, and more. How to Maximize Storage Space When Dealing With a Window in Closet: There are two schools of thought when it comes to dealing with a window in closet design. One strategy is to eliminate it, while the other is to work with the window and turn it an asset. If the window is located in a reach in/wall closet, you will probably have no alternative but to get rid of it. If it is part of a walk-in closet, however, you have more options. Clever Ways to Hide Cables, Cords and Wires From Your Home Electronics: Even with the prevalence of WIFI, Bluetooth, plus a host of cordless electronics currently available to consumers, wire management remains a major organizational issue in most homes. 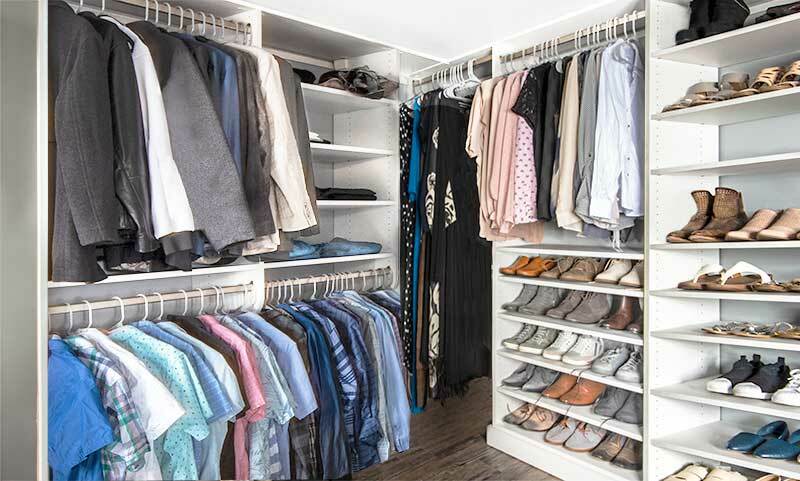 How to Maximize The Vertical Storage Space in Your Closet Using Pull Down Ceiling Storage Systems and More: How do you utilize all the available square footage when most of it is out of reach? There are several tricks of the trade when dealing with high ceiling storage for closets. Closet organization solutions for high ceiling storage include various pull down ceiling storage systems, step up solutions like ladders, or reach extenders like the shepherd hooks used by many retail clothing stores. 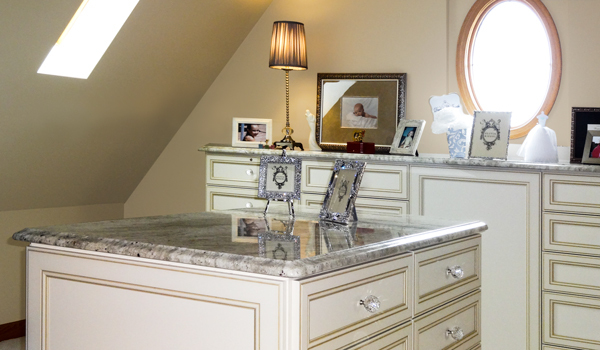 Types of Mirrors Available for Custom Storage Systems: Mirror mirror on the wall — but which is the fairest one of all? 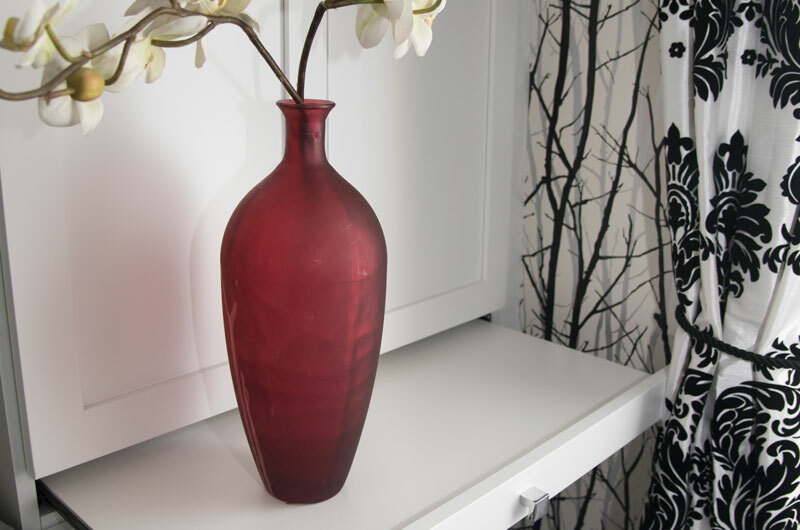 Mirrors are a handy addition to any closet and there are many different kinds available. Closet mirrors can be divided into four main types and there is one to fit every closet situation, no matter the size or style. 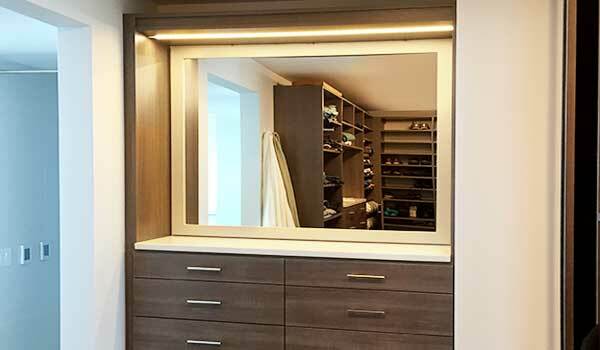 Getting the right mirror for your closet will add convenience to your morning routine. Making each day just a teensy bit easier could make all the difference in dealing with the hectic hustle and bustle of our daily lives. 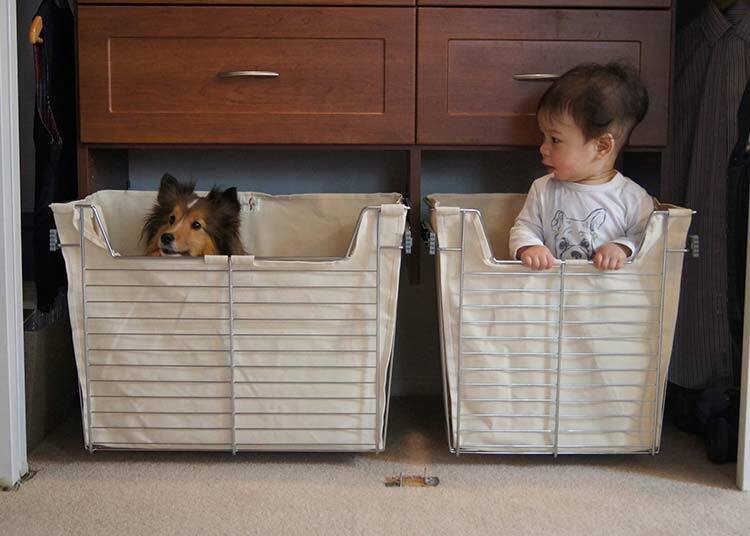 Types of Built In Hampers Used in Custom Storage Systems: Built in hampers are a custom closet accessory. There are two main types of built in hampers used in custom closets — the tilt out hamper and the roll out or pull out closet hamper. Both operate manually. They often feature multiple compartments for sorting laundry, and easy-to-lift removable bags with handles for carrying dirty clothes to the wash.
Cam Locks Versus StealthLocks® for Closet Drawer Security: The types of locks typically used in closet drawers include traditional cam locks and radio frequency controlled hidden locks. 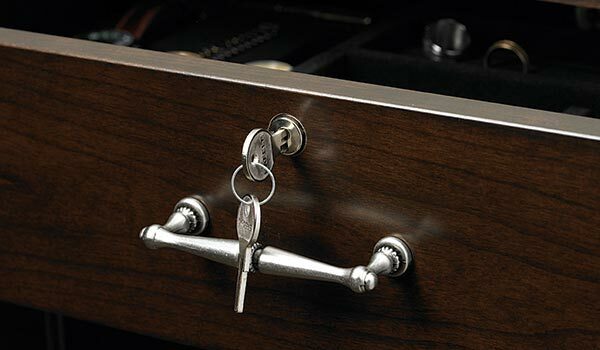 Both types of locking mechanisms provide a level of security to discourage theft. But which type to choose? Each has its own advantages and the best type to use will depend on your own situation. The Many Benefits, Types and Uses of Rotating Closets — Including Revolving Shoe Racks & Spinning Closet Organizers. A closer look into the predicted palettes of 2018: Out with the old, in with the new. According to styling trends of 2018, we're narrowing down our palettes for a minimalistic mindset and fresh start so we have nothing holding us back from meeting our goals. Closet Works is here to give in depth explanations on the trending colors (including PANTONE®'s Color of the Year) and decor ideas to carry us through the new year. How to add a separate work space to a small home when there is no more room: There are many advantages to having a space for working that is removed from your personal living area. 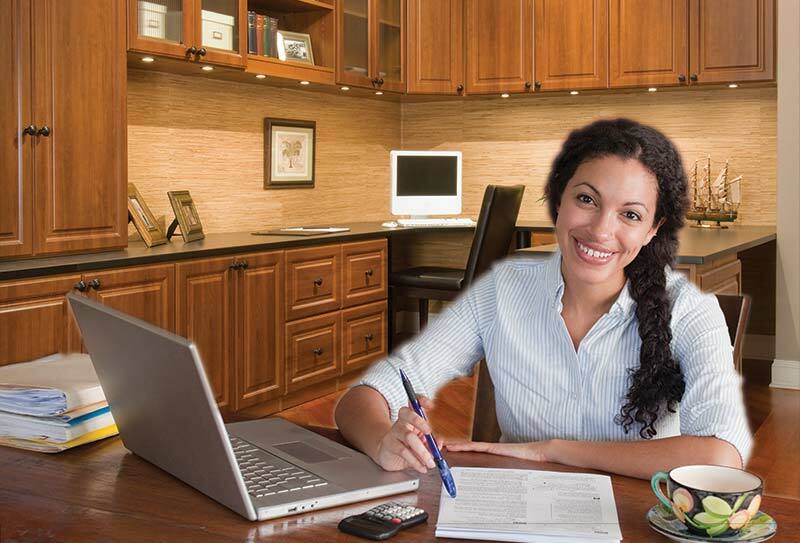 In addition to providing a mental separation between work and home life, a home office can help you stay organized. The problem for many people is that they live in tight or crowded quarters, and have trouble finding a separate area that can be designated solely for work. The space you need is probably available somewhere, however. You just need to think creatively in order to find it. Studies Show That Getting Organized Can Improve Multiple Aspects of Your Life, Including Weight: Cleaning and organizing is easier than losing weight for most of us. Try putting your possessions on a diet and clearing your clutter. Then watch to see if your weight goes down on its own along with your stress levels.